MyClassAlert.com is owned and operated by Echovoice LLC. Class Alert combines all the tools useful to college students in one location to give them the opportunity to create their ideal class schedule each semester. 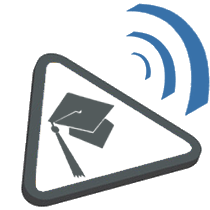 The site incorporates professor and course reviews, course grade distributions, universities' course catalogs, a textbook search engine, and an alert system that allows students to setup notifications of such changes as a seat in a desired course becomes available or the price of a needed book drops below a certain price. Class Alert's textbook search system searches over nine million textbooks across other textbook sites such as Amazon and Half.com to find the best prices to buy sell, or rent books in order to avoid paying outrageous bookstore prices or getting ripped off when selling your books back. Class Alert offers a unique combination of accessibility, functionality, and practicality. How does Class Alert's notification system work? Class Alert is a system designed to utilize today’s high-speed notification systems (text, voice, and email) to enable students in creating a better course schedule by allowing them to enroll in classes that they desire. It uses a patented technique of obtaining university course information, specifically the amount of open seats available for particular courses. Class Alert then maintains a database of this information, constantly updating itself at very regular intervals (usually every minute or less). If a monitored class has open seats, the user is notified via SMS (text), voice call, and email. If the student gets into the desired class, they can then cancel the alert and enjoy their perfect schedule. Alerts can also be setup to monitor prices on specific books. What do I need to use Class Alert? You can use Class Alert anywhere you have internet access. A valid email address is needed to register, and all account holders must be at least 13 years of age. Registration is not required in order to browse and contribute to the site. However, registration is required to set up alerts. The notification system has been tested on mobile devices with all major US service providers. Once an alert is setup, all the user needs to do is have access to a phone or email account, where they can receive the notification at anytime, anywhere. To start receiving alerts now, click here to register. Be sure to check your spam filter to make sure "[email protected]" is not blocked, otherwise you may not receive your alerts or the account verification email. What schools/universities/colleges are supported by Class Alert? Class Alert will eventually support all US colleges, including public and private universities, community colleges, and online universities/colleges. You can find a full list of supported schools here. At Class Alert, we are working hard every day to add as many schools as possible, with thousands of schools all across the country it is difficult to get all of them supported right away. Currently, we are adding schools based on popular demand. If your school is not supported, we recommend you encourage your classmates to register with Class Alert to help speed things up. We are looking to hire campus reps and software engineers to help get their schools supported. If you would like to be notified when your school is supported, click here. What if the website looks or acts unusually? This issue can be caused by many things. The first thing we recommend is you use a browser like Chrome or Firefox. Next, it is recommended you clear your cache. If you don’t know how to do this, Google it. If the issue persists and you think you found a real bug, email us at [email protected] (please be as descriptive as possible). All services offered are free! How do I turn off an Alert? You must login to your account and from there you can end any active alerts under the My Alerts tab. You can also do this via text message and voice call notifications. More information and instructions on how this is done are included in the message sent or spoken. What number does Class Alert use for notifications? We can use two different numbers for both voice and SMS (txt) notifications. They both originate from our main office in Scottsdale, AZ. Please refer to our contact page for the best number to reach our main office if you have any questions. Though most incoming calls to cell phones here in the USA are free, if you are unsure please check with your phone company. Same is true for text messages sent to your mobile phone. Standard Voice and Data Rates Apply. All emails are sent from [email protected], if you have any spam filters please unblock this domain. What if I get a text message but I miss the opportunity to enroll in the desired class? We will continue to notify you until you get into the desired class. Once you get into the class, you can turn the notifications off. Check out our Contact Us page here. Flagrantly stupid questions or comments will be ignored. Class Alert's business hours are 24/7 via email (recommended), and 9am-5pm MST M-F.